Are You a Blessed Spouse? The air that we breath is an air that assumes the importance of efficiency: "Work smarter not harder" could be our mantra: we want the results of two hours in the gym in 10 minutes; we want our food order to be placed, to be fresh, and to be on our table in five minutes. Businessmen balk at 'wasting time' and a grocery store brouhaha will take place if there is a long line and one cashier! Kevin DeYoung noted, "We have more opportunity than ever before. The ability to cheaply go anywhere is a recent development. The ability to get information from anywhere is, too. ... The result, then, is simple but true: because we can do so much, we do do so much" Why? Because we love efficiency! Most would admit that everything in us chides with wasting time or the ultimate ‘no-no’ of inefficiency. If I were to tell you the long route to go somewhere when I knew a shorter route, you would probably Darth-Vader choke me in your mind! Now think of the way that affects our relationships. Efficiency has the tendency to damage our relationships, instead of enhancing them. We want to communicate efficiently but now the god of efficiency has claimed another relationship. Think of how text messaging how changed the environment of relationships. I can now ask you something I need, without greeting you, asking about your day, or if you have a moment to talk. Scary! And now this can be the new normal. How would God want us to think about efficiency and its effect on our relationships? First of all, it’s important to note good relating took place before the Internet! And even before telephones! What!? I know, crazy right? God has not called us to high-output, low waste. Rather, He has called us to fruitfulness (John 15:8). Moreover, this fruitfulness can entail what might seem in modern times as wasteful. For instance, why didn't Jesus live in the technological era? Why wasn’t the “Road to Emmaus” the “Metro to Emmaus.” He could have hosted a radio show, or built an epic, online resource center! What a waste, right? Not always. 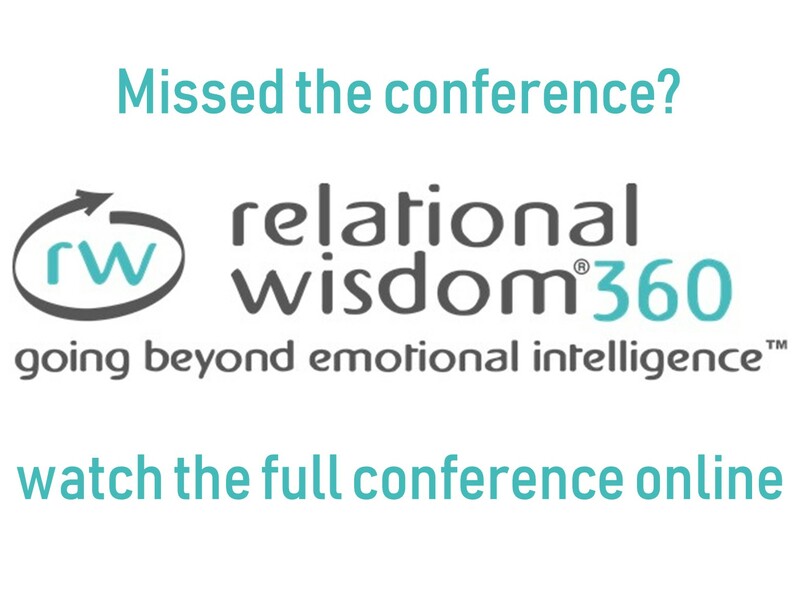 Now think of the implications for those relationships closest to you: perhaps you could currently talk more throughout the day with another person, but does that mean your communication is deeper, or more haphazard and surface-level? We have efficiency, but we lack fruitfulness most times! I find that communication availability does not equate to genuine communication. In fact, many couples I counsel speak all throughout their day without any depth of conversation. Efficiency has truncated fruitfulness. In the Army I would regularly get emails from other co-workers on the other side of the office! Efficiency is not wrong, but it is not ultimate. In fact, it is not always best—especially in our relationships. Here are some practical steps as we seek to balance efficiency in our relationships. Distance yourself from the god of efficiency: We worship efficiency and balk at inefficiency. Yet, in our relationships we must seek to recognize that efficiency is not ultimate. If you have ever listened to a child read a book you understand that, yes, you could read it faster but that isn’t the point. Commit yourself to what is good in your relationships (Luke 10:42), not what is efficient. Be great at a few relationships instead of mediocre at many. Jesus embodied that over three years He would invest in three men (Mark 9:2) instead of meeting weekly with different men. Let’s invest into a few good relationships, too. Be where you are with whom you are ... . Sitting in a Subway restaurant with Richard Ganz he said, “You know who are the most important people right now? You guys are.” He understood that God’s providence places us with people. So be there with them. Put away the phone. Turn off the TV. Send the kids outside. Be there, with them, not there around them. Lastly, realize it is okay to not respond to a phone call, voicemail, or text message. One of the obligations of our society seems to be if an acquaintance texts us, we must text them back, quickly. Don’t let your fear of man drive your availability (Prov. 29:25) to man. You must respond to certain people, but others can wait. If we are going to be fruitful in a few relationships, it means that we must ‘push back’ other relationships. Our neighbor from three years ago may not hear back from us for a few days—that’s okay. We can find a certain freedom in being intentionally inefficient with some things because we want to be extraordinarily fruitful in those things. Therefore, let us choose that which chides within us: let us choose inefficiency for the sake of greater fruitfulness. Kevin DeYoung, Crazy Busy (Wheaton: Crossway, 2013), 24. Have you ever spoken an unkind word to your spouse? Has your spouse ever acted unkind to you? Have you ever been drawn into saying or doing something wrong in your marriage after your spouse said or did something wrong to you? Have you ever stopped to consider that when wrong actions and reactions in a relationship go unresolved, they are the cause of relational trouble and can lead to destruction? The Bible calls all these wrong actions and reactions sin because they are not only offensive to a spouse, but to God. I wish I could say that such wrongs have never happened in my marriage, but the truth is, I have sinned against both God and my spouse. And, at times, my wife has also sinned against God and me. It has been my experience, both in my own marriage and in the many I have counseled, that the real problem in marital conflict that must be dealt with is our sin against God. The first married couple to experience conflict was Adam and Eve (see Genesis 3). Satan tempted Eve to disobey God. Eve disobeyed God and tempted Adam to do likewise. Adam was drawn into Eve’s sin and chose to disobey God. Adam then sinned against Eve by blaming her for his sin. Sin complicated everything. Their sinful actions and reactions to sin created conflict in their marriage. Their sin against God both wronged one another and hurt one another. And if they had not first sinned against God they would have never sinned against each other. Oh, how you and I need to understand this. Since the very first marriage this principle of sin has been at work destroying unity and stealing closeness in all marriages - including yours and mine. We sin against God before we sin against our spouse. We offend God before we hurt our spouse. Sin against God always precedes sin against others. This is why the greatest command in the Bible is actually one and the same - “Love God with all your heart, soul, mind and strength” and “Love your neighbor as yourself”. This is why our greatest need in our marriage is an improved relationship with God. When we fail to love and respect God with all our heart, we will eventually fail to love and respect others as we ought. David after committing adultery with Bathsheba and having her husband killed said in Psalm 51:3, "Against Thee, Thee only, I have sinned, and done what is evil in Thy sight." David committed at least two major sins that caused major human pain, yet the painful sins against man are eclipsed in David's mind by sin against God. This is evidenced by David saying these sins of murder and adultery are sins against God and God only. This means all sin against others are primarily sin against God that was revealed as sin against others. There are many other passages that reveal the truth that all sin against others is sin against God - Leviticus 19  You shall not curse the deaf or put a stumbling block before the blind, but you shall fear your God: I am the LORD. (The reason a person would do such a cruel thing to a dead or blind person from a biblical perspective is because they do not fear and respect the Lord as He deserves.) Romans 3:23 makes clear that all sin is defined as falling short of the glory of God. Hebrews 4:12 says that all sin is laid open and bare before the one whom we have to do. Nothing we do to one another is wrong unless God's law is broken - the law of love. Nothing we do to one another is wrong unless it is a transgression against God. Jesus took this to a whole new level when he said, "As you have done it to the least of these my brethren you have done it to me" (Matt 25:40). Amazing. If we remember this in relating with our spouse and one another, we would have far less conflicts and sin toward one another. James says in 4:4 says that conflict with one another is adultery to God - a clear lack of love for God. Ephesians 4:29-30 connects speaking disrespectfully toward another person grieves the Holy Spirit - a clear disrespect for His work in your life. Indeed, if we keep our love and respect for God strong, we will not act unloving and disrespectful to others. Since 2003, as director of Lowcountry Biblical Counseling Center, I have had the unfortunate experience of witnessing many ways that spouse’s sin against each other. On the other hand, I have also been blessed to see many of those typical patterns of sin change because each spouse was humble enough to see and focus on their need for change more than their spouse’s need for change. That’s humble. At the following link you will find some typical ways married couples sin against one another: Common Areas of Sin in Marriage & Change Journal. (See the Counselor Resource Center for all our assignments)I have broken these common sins down into six main categories. Seek to be humble enough before the Lord to see your own sin.The first step in successful marriage counseling, the kind that will positively affect unity and avoid destruction, requires at least one person to accurately assess and acknowledge specific sins against their spouse and then be motivated to change because this sin is sin against God. May the Lord help each of us to build our marriages and help other marriages build (and in some cases rebuild) in a God-centered manner. May He give us grace to to see our root problems as first of all a problem in our relationship with God "with whom we have to do" (Hebrews 4:13). We need a growing love and respect for God leading to a growing love and respect for the spouse He has given us. We must not let our child’s doubts and rebellion to the Lord result in us becoming controlled by anger, worry or despair toward them. Our children must continue to see God’s glories through our life if they are going to be effectively drawn to Him (2 Cor 2:14-16). Anger, worry and despair in us as parents helps blind our children and teens to believing that our God is indeed glorious (Eph 4:26,27). When I sense one of my children struggling in their spiritual growth, I know that if I respond with anger, worry or despair, I will only further encourage their struggle. I have to first anchor in the reality of God and His Word. During these times, we, as parents, must recall to mind, again and again, that our God is in control of all the circumstances in our child’s life (Prov 21:5; Lam 3:37-38), that Christ is our greatest treasure in heaven and on earth, not our child (Ps 73:25ff), and that Christ always will work all things together for the good of those who love Him (Rom 8:28-29). If our child’s heart turns from the Lord, our hope in the Lord and His Word has not perished. Promises like 1 Timothy 4:16 can guide and sustain us, “Pay close attention to yourself and your teaching, persevere in these things; for you will insure salvation both for yourself and for those who hear you.” Neither you nor I know the end of our children’s spiritual journey, but you and I have to leave the results up to God so that our choices can remain pleasing to God during major parent-child trials in life. I encourage parents in the thick of rebellion with children and teens to reach out for older, godly leaders in their life who can help practically navigate. Leaders who have had significant success in spiritual parenting. The Lowcountry Biblical Counseling Center offers biblical counseling to parents in such situations for this very reason. You and your child may need counsel through such a time. It may be several months or years before there is positive spiritual affirmation from your child once again that restores your own parental joy. But you must never allow anger, worry or despair to control you during this time for these only provoke your child to greater faithlessness and doubts about your God. This is because when they see someone like you, that has spent much time pursuing God and nurturing faith in Him, fall apart, it communicates that your God is not powerful enough, good enough, wise enough to be your primary source of joy and strength in life. I am thankful that many parents have been able to remain strong through such dark times through biblical counseling. But I am even more thankful that such dark times refine such parents like fire refines gold. Parenting trials expose areas that need change in us as parents not just our children. In my own parenting journey, when I encounter challenges that tempt me to fear, anger, or discouragement over my children, I begin to seek to be more sincere in my unconditional love toward my children. I begin to spend more time with my children as a good companion. During these times I still enforce consistent consequences and give gentle reproof as necessary. I still conduct family worship times. But to all of these essential parenting tasks, I add an improved element - a greater godly example of the goodness of God in me. Such parenting trials must lead us to greater purification of our personal joy and hope in Christ and greater sincerity of love for our family. We must remember that even if our children reject Christ as their only hope for true happiness, we must not let their rejection cause us to forget that He is our only hope for true happiness in life. Our children must not be the joy of our life, but only increase the joy we already have in Christ. We must let their doubtings and disobedience result in a deepening of our faith, joy, love, peace in the Lord and His Word. The results are up to God, but the choice of response belongs to us. “One sows, one water, but God causes the growth.” (1 Cor 3:5) Your child’s faith in Him, His Word and the gospel is a matter ultimately between them and God. But your personal example of these things is up to you. Your main job is to not provoke them by faithless, sinful responses, but instead provide godly discipline and instruction in the context of a positive godly example - a heart that drips with the goodness of Christ. All this God can use to grant them repentance - the same repentance that He has graciously granted you (2 Tim 2:24-26). Remember, we were dead in our sins, but He made us alive in Christ - not as a result of our works, but His grace. May our example help display His glories to our children that we may be a drawing influence for the Lord, not a blinding influence. May God help us in the humanly impossible task of training a child to obey the Word of God out of a heart for the God of the Word. What's the Use, My Spouse Is Done? Discouraged Spouse: My Spouse isn't interested. She has made it clear to me that she has no interest in trying to reconcile our marriage. She has been out of the house six months. There's nothing more I can do. I am not sure if I should come to counseling anymore. Biblical Counselor: I want you to look at the promise of 2 Corinthians 2:14-16, "But thanks be to God, who always leads us in triumph in Christ, and manifests through us the sweet aroma of the knowledge of Him in every place. For we are a fragrance of Christ to God among those who are being saved and among those who are perishing; to the one an aroma from death to death, to the other an aroma from life to life." My goal in counseling you is not primarily to help you reconcile your marriage, but help you be the aroma of Christ to God as you respond to her and her struggle to love you. God is your primary audience and reward in all this, not your spouse and marriage. He is pleased by such a sincerity of love toward her. He is pleased with you faithfully pursuing love week to week. (2 Tim 2:22) The results of your attempts are up to God. She may reject your repentant change but God is pleased as you continue to do good and is working through you to speak to her conscience. We can stop counseling, but you must not stop growing in the aroma of Christ. Biblical discipleship counseling exists to help you remedy areas of your heart, mind and actions that need biblical change. Discouraged Spouse: But every good thing I try to do she says is only because I am trying to manipulate her. Biblical Counselor: You must pass her "sincerity test" before you can influence the relationship. You told me there has been a long history of you grumbling against her, putting her down, not investing time, talk, or even touch with her. Indeed many of your responses were probably provoked by her in some way, but it still revealed a lack of unconditional love toward her. The devil has a strong wedge between the two of you. For you to remove the wedge you must change your aroma - the aroma of conditional love must be changed to unconditional. Your attitude and actions toward her must become consistently reflective of 1 Corinthians 13:4-6. But, this could take a significant amount of time. God could change this in two weeks, a month or a year. The question is, however, are you still going to be the aroma of Christ regardless of her response? Remember this equation: "Doing good" plus "length of time" results in "proven sincerity". Her rejection of you accomplished two very good things. First, it became a test of your sincerity toward her. Second, it became an opportunity for you to grow. So, even though she does not possibly see it that way right now, you must, so that you do not lose heart. We are praying for that moment when God sets up an opportunity for you to prove that you truly love her and have changed toward her and you pass the test! We pray this will be on such a significant level that she is surprised by your response. Discouraged Spouse: But she never gives me the opportunity to show her that I've changed! The Lord will be faithful to give you various opportunities to prove the sincerity of your love - to prove that you have changed in your relationship to God and thus you are able to be more patient, more kind and less self-seeking towards your wife and family. Trust Him for the opportunity as well as for the result. Know that the result of passing the test of sincerity may indeed lead in time to full reconciliation with your wife and family, but it will absolutely result in greater fullness of life, character and heart in you with the Lord for the rest of your life on earth and eternity (1Tim 4:7,8). You will get greater good when you are good because God is good and a rewarder (Heb 11:6). Discouraged Spouse: But it actually seems the more good I do the more she pushes and pulls away. What's the use? Biblical Counselor: Sometimes this can actually be a good sign. It means that your goodness could be bothering her conscience. You see when Jesus Christ died on the cross, the guard who was at the foot of the cross looked up, immediately after helping kill Jesus, and proclaimed, "Truly this was the Son of God." He had been a part of many crucifixions but he had never seen a man die like this man - so compassionate and full of love. You have to pass the test of your wife's increased rejection of you by continuing to be full of compassion for her and your family, like Christ was on the cross, for God's glory. When the apostle Paul was involved in murdering many Christians before His conversion, he watched the way Christians responded to the brutality he was inflicting on them. It was right after killing Stephen, a Christian man full of wisdom and goodness, that he was confronted by Jesus Christ on the road to Damascus. "Saul, Saul, why do you persecute me?" Would Paul's conscience have been won over by Jesus had Steven and the other Christians displayed retaliation when they were inflicted with unjust suffering? No! It was in the context of their persecution that Paul was won over to Jesus Christ. Never does your love and change look more genuine then when your wife's hurt, bitterness and anger over your sin is at it's height of expression toward you. This is how the dynamic of spiritual influence occurs. Again, I go back to Paul's statement in 2 Corinthians 2:15-16, "We are to God the aroma of Christ among those who are perishing and those who are being saved." Your Christ-likeness will have a drawing effect on your wife and family, regardless of her present rejection of you, if God is saving her. You will prove your sincerity and you will grow in your sincerity if you remain like Christ, doing good throughout the rejection. Your wife's increased rejection serves to allow you to increase in your sincerity for God and her. The persecution of others can either serve as proof that you really have not changed or proof that you have truly changed in your motivations, your behavior, and your love. Discouraged Spouse: I just don't know how I can keep it up! Where can I find the strength to keep handling such rejection. Biblical Counselor: First, godly sorrow over your own sin and its affect on your family, works energy in you to remain repentant (2 Corinthians 7:10-11). You owe your family better than what you gave because God called you to it. Every punishment your family inflicts on you for your past sin is another opportunity to dig out of the debt of love you owe and prove yourself genuine. At some point, your family will be given an opportunity by God to see your sincerity. Keep those opportunities open. Also, you will need to practically apply Hebrews 12:3, "Consider Him who has endured such hostility by sinners against Himself, so that you will not grow weary and lose heart." This passage was written for such a time as this. You will be able to endure only by thinking much about His costly sacrifice for you. You are laying down your desire for respect, relationship, closeness, and much more, in order to show your family that you love them more than you need these things from them. But to fill the vacuum left by their rejection, you will need to think often about the example of Jesus and the good you have gained from Him. You will have to not only be sad and prayerful about your family’s rejection of you at this time, but thankful and hopeful about all the good that Jesus has accomplished for you that you will experience in this life and the one to come. Your involvement in counseling and in the local church will be key to continuing in these perspectives that keep you energized in growing in sincere love. This week I would like you to memorize, for 15 minutes each day, the following passages: 2 Corinthians 2:14-16; Hebrews 12:3; 2 Corinthians 7:10-11 - one phrase at a time. I would also like you to complete the following study, working on it 15 to 30 minutes three days this week: Becoming a Person of Influence, When You Are a Person in Conflict. In the Relationship Workshop Greg, Ron and I spoke of the need for sincerity as key to cultivating growth in relationships. I personally have failed many times in this in my relationships with others, but I seek to improve. I hope you will, through the biblical insight and actions shared in this article, and subsequent articles, join us in improving our sincerity in relationships. God proved His sincerity to us by sacrificing his greatest treasure for us, His own Son. His amazing sacrifice not only paid the price for our sin, but won us to Him. He gave us a very convincing demonstration that our good and gain was His intention. He was seeking for us far more than He was seeking from us. He proved His sincerity. The more we understand what a great sacrifice He made for us, the less we doubt His love for us and thus the less we resist relationship with Him. That is the power of sincerity in relationships. You and I need that if we are going to cultivate growth in our relationships with others. We must seek opportunity to demonstrate our love sacrificially. The greater the sacrifice, the greater potential for sincerity proven. Recently my wife was recovering from surgery, said to her sister, "I am really struggling with so much pain. It makes it so difficult to be patient. It is hard for Tim to know what I need to help. But He continues to try and is doing a great job at handling my grumpiness." I passed her test of sincerity by treating her with unconditional kindness in her need. Sadly, however, there have been many times sincerity has called for sacrifice in my relationships with her and others, and I have failed. It is at those times, I have been more interested in my good and gain than their good and gain. God proved that He sincerely loved me by dying for me when He had the most to lose (His precious Son), and the least to gain (me - an active enemies, child of wrath by nature - Eph 2:2-3). God has indeed passed the sincerity test of all of us who are now in relationship with Him as their Savior, Lord, and friend. He has proven that His intentions toward us can be trusted (Eph 1:5). Trust of intentions is key in cultivating growth in relationship, that is why sincerity of love is the essential quality for growth in relationships. God has demonstrated this key to relationships supremely in the gospel. If sincerity of love is that which most cultivates growth in relationship, then, as shared in the Relationship Workshop, the sin of covetousness is that which most cultivates the destruction of growth in relationships. Covetousness in the heart makes us conditional in our relationships. Covetousness says, "I want something from this relationship so bad I cannot remain unconditionally patient and genuinely kind unless I get it from you. When you withhold or threaten to interfere with that which I covet, I will withdraw my kindness from you or vent my fury on you." Covetousness makes me "needy" in relationships, because it says, much like Rachel in the Old Testament, "Give me children or I die!" (She was coveting after a baby because Leah her sister had already bore Jacob children and she could not. Indeed we see that covetousness makes demands on relationships.) We each have a list of things that our covetousness can and has caused us to feel that we need from others. And consequentially, when we don't get from them we will die in our love for them. Indeed some of us have already let covetousness kill love for a person. The truth is that if I need you or need something from you, I really am incapable of loving you - for love is giving not getting (Acts 20:35). When we give to others out of covetousness we are saying, "I give to you because I covet and feel I need something from you, not because I care about you as a person - your good and gain is of secondary importance to my own." If we would be sincere than no relationship in our life must create our joy, but must only contribute to it. If what people do for us is the basis of our joy in life then covetousness has made idols out of relationships. God didn't send His Son into the world because He needed us, but more so because we needed Him. Our response of faith and love in return does indeed greatly increase His joy, but it did not create it (John 17:5). Our joy will be found, first and foremost, in cultivating gratitude over what Christ has given us in relationship with Him and cultivating obedience in what Christ instructs us to do in relationships with others. I must have a source of satisfaction and contentment outside of my relationships, if I am going to possess a foundation of sincerity within my relationships. I must already possess a foundation for happiness and contentment outside of what others can give me. For the Christian, that is to be relationship with Christ. 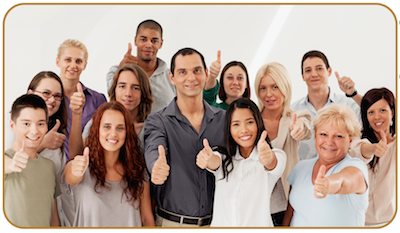 In the next article I will address how to develop this foundation for joy outside relationship with others. I will address one of the major anecdotes to covetousness-- expel covetousness through gratefulness as per Ephesians 5:3-5. 1) Spend about an hour evaluating your relationships to others - especially with your "closest" neighbors (you can break it up into two segments). Seek to list several ways you have failed to show sincerity in a relationship by failing to show sacrifice consistently. Do this especially for the more difficult relationship in your life, where it is most difficult to remain sincere in love. Give specifics as you write this down as to what you did not do that you should have, not just generalities. Don't just look for the big failures to sacrifice, look for the small things as well. We need to see in detail how we are falling short if we are going to see in detail how to make changes. Pray as you do this for God to open your eyes so that you can share more fully in the glory of His sincerity. It is so easy to see in high definition how others are failing to be sincere and to sacrifice for us , but it is far more beneficial to us to see where we are failing the proof of sincerity with others that we may be convicted and make changes. The development of sincerity in you is the greatest obstacle to your joy and God's glory in your relationships. You and I need to learn to be grateful givers of what God has given us. We will speak more about this next time. But for now, make this list. 2) Fill out a reading report for the above article that you may more absorb, remember and apply what you have learned? You can print this out for yourself at the following link: Reading Report Assignment Link. May our Lord give you insight as you consider the things that have been shared (2 Tim 2:7). The Relationship workshop is for singles, married, separated, co-workers, church community, and parents who are ready to biblically revolutionize their impact on all the relationships of their life through increasing in sincerity. 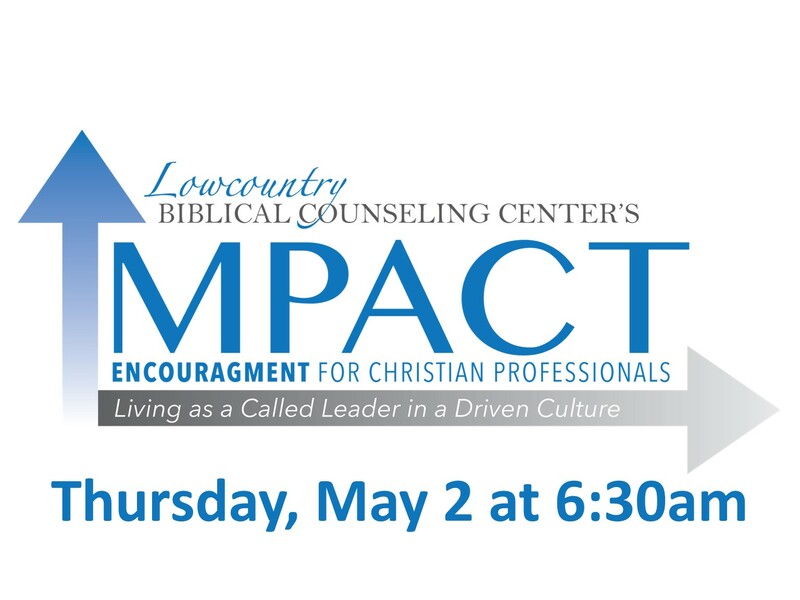 The entire counseling staff of the Lowcountry Biblical Counseling Center, in just four sessions, will equip you with the best tools and insights they have developed through years of counseling to positively change the heart and the dynamics of ALL your relationships.